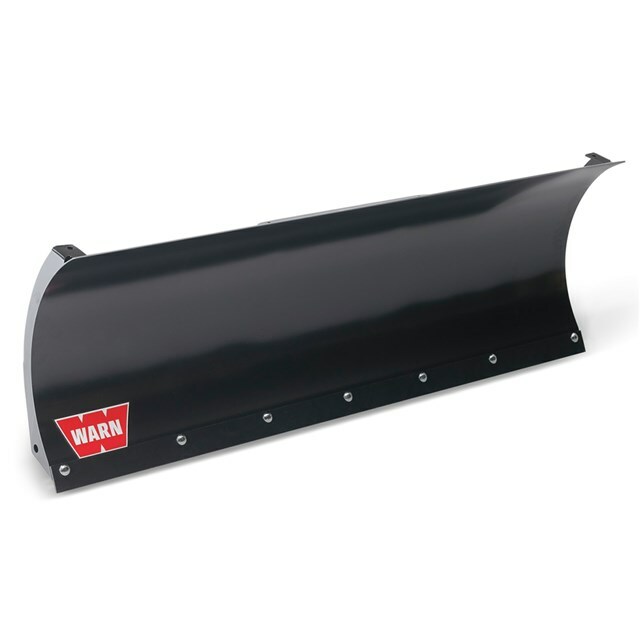 WARN Plow blades are made of high-strength low alloy steel with 3/16" outer ribs for superior strength and rigidity. Massive bushings used at critical pivot points help reduce wear and help absorb the shock of plowing. Adjustable gravel skids make fast work of the most difficult jobs. Quick disconnect pins allow for quick and easy removal of the plow to go from work to fun.